The Watchmen just scored a big bump in prestige. 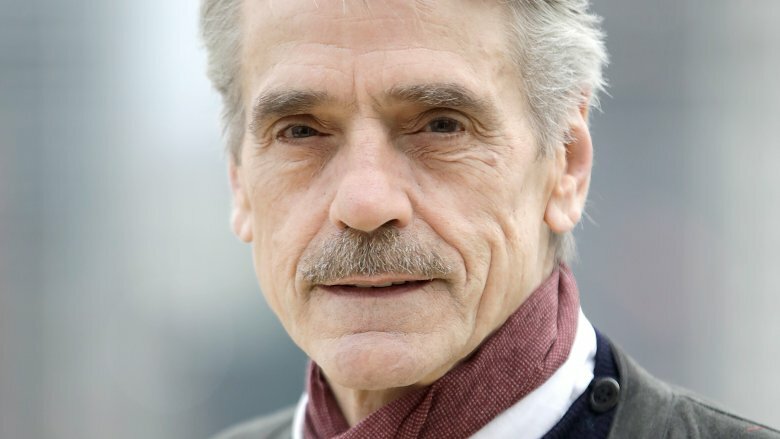 Academy Award winner Jeremy Irons has officially been cast in the role of Adrian Veidt (better known as Ozymandias) on HBO's Watchmen series. Irons will appear as an older version of the character after a time jump of several decades. Slashfilm broke the news, and also reported that A Simple Favor actress Jean Smart has landed the role of an FBI agent by the name of Blake — which, fans will remember, happens to be the surname of the ironically named Comedian, a ruthless and brutal vigilante whose death drives the main narrative of both Alan Moore's seminal graphic novel series and Zack Snyder's 2009 film adaptation. For those outside the loop, Watchmen is set in a dystopian alternate version of '80s America in which the emergence of costumed heroes had a profound impact on world events throughout the late 20th century. The U.S. won the Vietnam War, Richard Nixon won re-election (thanks to the efforts of the Comedian in suppressing the Watergate scandal), and the existence of the godlike Doctor Manhattan further exacerbated tensions between the U.S. and Soviet Union. Eventually, it's revealed that Ozymandias — the "smartest man on Earth" — sacrificed millions of Americans in a phony alien invasion of his own making, in order to unite the two superpowers against a common foe and stave off nuclear annihilation. As the story concludes, the surviving heroes are bound to keep the truth of the "invasion" a secret — except nihilistic crime-fighter Rorschach, who makes a posthumous attempt to expose the plot — and Doctor Manhattan simply leaves the Earth for places unknown. In an Instagram post, series creator Damon Lindelof (the mind behind the hit ABC series Lost) indicated that the new series will take place decades after the events of the original story, making its period setting closer to the present day. Just as Moore's original story explored Reagan-era politics through the lens of morally ambiguous costumed adventurers, Lindelof — who stated explicitly that his series will not be a traditional sequel — seems to intend to use the Watchmen universe to shine a light on certain, very troubling aspects of the American political climate today. "In the tradition of the work that inspired it, this new story must be original," he wrote. "It must ask new questions and explore the world through a fresh lens… [the original] was specific to the Eighties of Reagan and Thatcher and Gorbachev… ours needs to resonate with the frequency of Trump and May and Putin." To this end, Lindelof could have done much worse than to cast Irons as the conflicted Veidt, a man burdened by his own intelligence and the clarity with which he sees morally complex situations. Irons has proven himself to be adept at playing just such characters — and he's also no stranger to comic adaptations, having recently appeared as Bruce Wayne's loyal butler Alfred in Batman v Superman: Dawn of Justice and Justice League. As for Smart, her announced role seems to confirm Lindelof's promise that his series will feature "new faces" who will advance the narrative "through a surprising, yet familiar set of eyes." It's unknown what her character's relation to the notorious Comedian will be, but especially in light of Lindelof's statement, it appears unlikely in the extreme that her surname is just a coincidence. One thing is certain: this series will feature an absurd amount of acting talent. In addition to Smart and Irons (who picked up his Best Actor Oscar for 1990's Reversal of Fortune), the loaded cast includes Regina King, Louis Gossett, Jr., Don Johnson, and Tim Blake Nelson. Watchmen is expected to premiere on HBO sometime in 2019.